MidAmerican Energy, the nation’s largest wind power generator among rate-regulated utilities, has no plans beyond December to expand its wind energy projects, company media relations manager Tina Potthoff said. Trinity Structural Towers Inc., which has a plant in Newton, plans to diversify its operations if the subsidy is not extended, a company official asking not to be identified told IowaWatch. 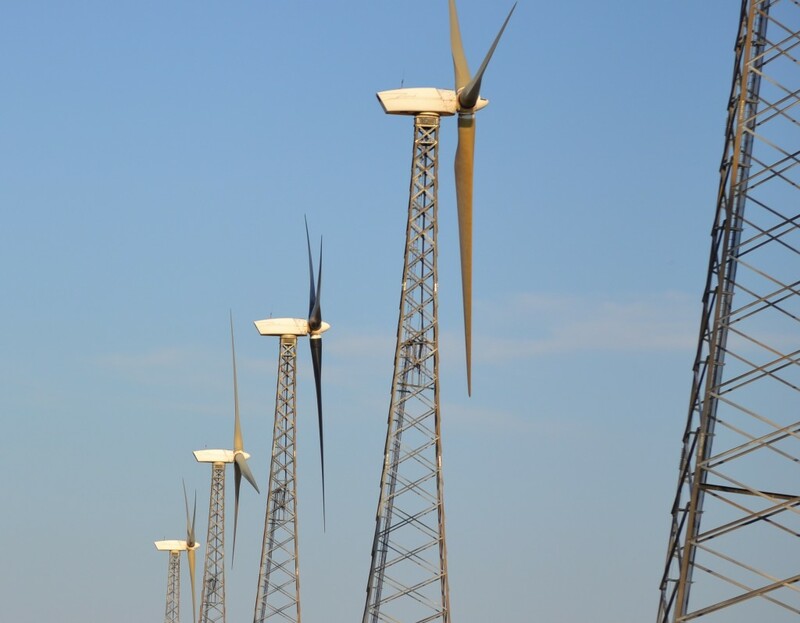 And ACCIONA Wind Power North America, which builds turbines and operates a plant in West Branch, probably will have to shift sales to overseas, company CEO Joe Baker said. Baker said his company has no plans to lay off any of its 100 employees. But wind turbine manufacturing plants in Cedar Rapids and Fort Madison have, even though the tax credit does not expire until Dec. 31. The uncertainty in this multimillion dollar industry in Iowa that employs 6,000 to 7,000 workers comes, in large part, from the presidential election, in which Iowa is a highly competitive swing state with a lot to say about who wins. President Obama has vowed during his multiple stops in Iowa to fight for a credit. Republican presidential candidate Mitt Romney has said he would let it expire and allow all forms of energy compete on their merits. To see the interactive map of national wind production, click here. Shawn McCoy, Romney’s communications director in Iowa, declined to talk specifically about how his candidate’s plan would affect Iowa or if Romney would be willing to compromise on the credit, but sent IowaWatch a list of Romney’s energy proposals. That list calls for opening areas for offshore drilling, letting states control onshore energy development and helping the private sector develop new energy technologies. It also calls for, among other things, allowing the Keystone XL pipeline from Canada into the United States, other cooperative energy development with Canada and Mexico, accurate assessments of energy resources, and reducing regulation on development efforts. The document says policies for expanding energy development should apply broadly to energy sources from oil and coal mining to wind, solar, hydroelectric and other forms of renewable energy and that doing so can allow more access to all industries. Iowa has been one of the leading states in wind energy production, getting almost 20 percent of its electricity from wind turbines.Wind energy, produced by connecting a turbine to a generator and using spinning blades to generate electricity, has been produced in Iowa since the enactment of the Alternative Energy Law in 1983. This law, signed by Gov. Terry Branstad, required investor owned utility companies to purchase 105 megawatts of renewable energy per year. Iowa’s congressional delegation; governors Branstad, Tom Vilsack and Chet Culver; and the Iowa Legislature have been strong supporters of the Federal Renewable Electricity Production Tax Credit and expanding wind energy production on the state level. “It’s been one of the few non-partisan issues in the Iowa Legislature,” Prior said. A little more than 2,800 utility scale wind turbines operate across the state, according to the Iowa Wind Energy Association. 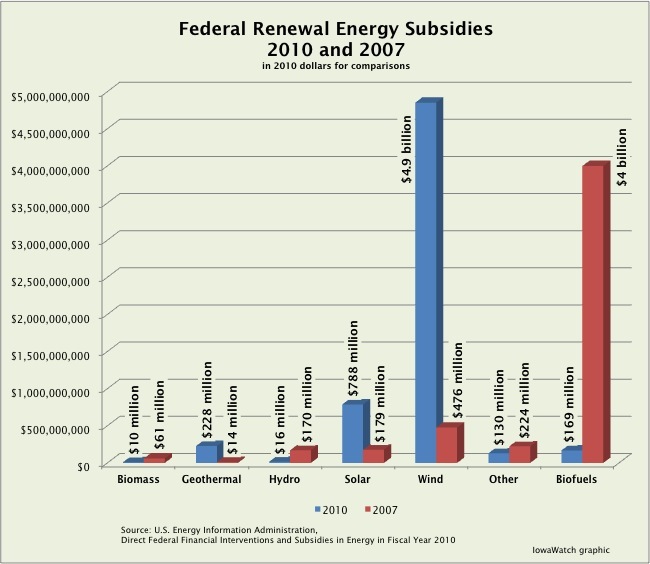 The Federal Renewable Electricity Production Tax Credit, part of the Energy Policy Act of 1992 and extended four times, gives wind energy companies a 2.2 cent per kilowatt-hour tax refund for their first 10 years of operation. The American Recovery and Reinvestment Act, known better as the stimulus law, went further in 2009 by allowing producers to take a federal grant that amounts to a 30 percent tax break for the first 10 years after a project is built. The American Wind Energy Association’s most recent report, issued on Oct. 17 and covering data through September 2012, showed Iowa’s 4,536 megawatts ranking third behind Texas and California in the amount of wind energy produced. That’s a slip from its previous No. 2 spot in 2011, although Iowa trails California by just 34 megawatts. Prior estimated that Iowa’s capacity will be reach 4,700 megawatts by the end of the year. MidAmerican Energy’s Potthoff said the wind tax credit has made projects affordable and economical for the company, which began building wind turbines in 2004. “While the end of the tax credit will not impact MidAmerican Energy’s workforce, it could very well impact our suppliers and contractors,” she said. MidAmerican operates turbines in 14 Iowa counties. Iowa’s 7,000 wind-related jobs have been created since the mid 2000s in manufacturing, operations, maintenance and wind-related businesses. Two turbine production plants, Clipper Windpower LLC in Cedar Rapids and ACCIONA’s in West Branch, have opened where other manufacturers once operated, Prior said. 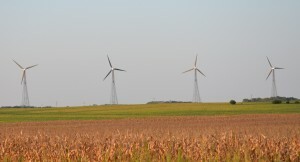 The American Wind Energy Association estimates Iowa wind project owners paid $19.5 million in property taxes in 2011. Their annual land lease payments totaled $13.5 million, and they invested $300 million in manufacturing plants for wind energy equipment, the association estimates. Although other data exist from wind power advocacy groups, state officials rely on the association’s estimates. Iowa, like other states, does not independently record that data. 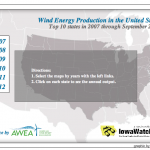 Iowa’s wind energy output has increased from about 1,500 megawatts in 2008. 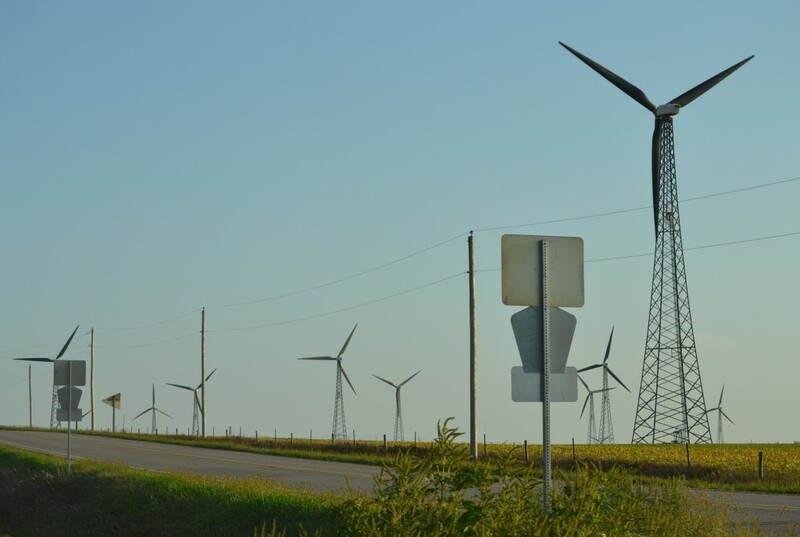 The Iowa Wind Energy Association set goals to reach 10,000 megawatts by 2020 and 20,000 megawatts by 2035. Still, Clipper Windpower will have eliminated 174 positions nationally by the time its layoffs are completed this fall. An exact number for how many of those were in Cedar Rapids has not been reported. Siemens Manufacturing is to lay off 407 workers in Fort Madison, an IowaWatch review of tax credit-related news stories shows. Siemens received a $3.4 million federal stimulus grant in 2009 to help build its manufacturing plant in Fort Madison. Neither company has responded to multiple requests for comment. A key issue is just how much wind energy production can expand. 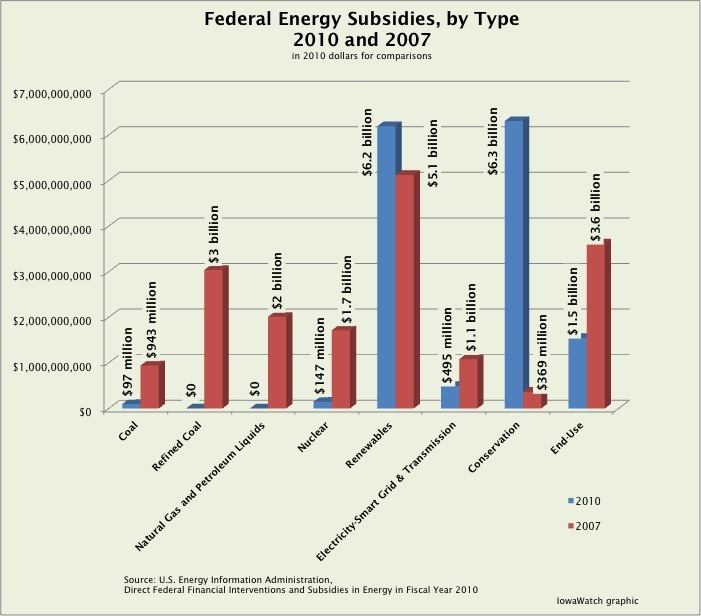 In federal fiscal 2010, the wind energy industry received 42 percent of the subsidies and government support for energy, compared to just 10 percent for coal and 5.5 percent for oil and natural gas, U.S. Energy Information Administration data show. “The wind industry has built itself around the subsidy,” Linowes said. “We should let the market decide what it will produce, and wind producers will have to find a way to lower costs and be more efficient.” She went on to note that a one-year extension of the Production Tax Credit nationally would cost taxpayers $12 billion, a figure that showed up in August in a Joint Committee on Taxation report. Prior conceded that his industry will survive in the long term if the tax credit goes away. He said wind producers will work to expand wind energy’s availability and using smart grid technology, which automates the generation of power. Congress is in recess until mid-November. Any vote to extend the credit must wait until then. Rob Hach, owner and founder of Anemometry Specialists in the northwest Iowa town of Alta, has become an unlikely champion for Obama’s wind energy policy. A lifelong Republican, Hach introduced the president at a campaign stop in Sioux City and attended the Democratic National Convention in August. His company, in business for 10 years and employing 29 workers, performs feasibility studies and installs solar and wind projects. Hach favors a four-year extension of the federal tax credit, after which, he said, the industry will evolve enough to move toward a lower rate of subsidization. Iowa farmers during the unusually dry summer have reaped some of the financial benefits of wind energy.Dave Turnquist, an Alta farmer who has nine turbines on his land, said he gets $1,700 per year for each turbine, totaling $15,300. American Railcar Industries, Fort Dodge — $5.3 million to re?equip a railcar plant for the production of steel towers for wind turbines. TPI Composites Inc., Newton — $3.9 million to build a 300,000-square-foot blade fabrication plant that eventually was to employ 500 workers and a 200-employee blade manufacturing factory in Nebraska. Siemens Energy Inc., Fort Madison — $3.4 million to build a manufacturing plant for assembly of wind turbine nacelles and hubs for wind turbines.